There are 4 posts filed in Entrepreneurship (this is page 1 of 1). Somehow I find lot of people interested in product ideas end up meeting me and the ideas often surprise me either with the uniqueness or lack of it. The lack of skills and the reluctance of pick it up seems to be common trait in most of the cases. But then some people understand it and try finding mentor’s and succeed. Perhaps this will be a good idea to share some of the thoughts from personal experience. I think this is one of the important aspects of succeeding with a startup idea in any area. But care must be taken to make sure that the niche will grow enough to provide the return to sustain the idea (product or service whatever the idea is). The second point it should be possible to generate enough revenue to keep going. There 2 personal experiences of finding a niche segment and then not able to scale up : though there was a rock solid team, timelines were met etc etc. Find a niche, boot strap and run after MONEY ! We had award winning photographers across the country, we probably managed to publish photos faster the best, we trained photographers to upload photos, process them & we paid them probably 3 times what they used get paid. All were happy. Though all were happy, we had issues with collecting payments. After an year of operations throughout which we were break even, we had to wind it up. Why we didn’t take off ? MangoPeel is started by two young photography & travel enthusiasts who came to to know about each other through their photos. They had dreams to do things differently & courage to do it. 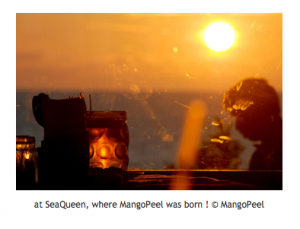 They met at a beach side restaurant to discuss their future plans and MangoPeel was born. Once again everything was uber cool, India was about to witness a massive upgradation in internet connectivity, the magical 3G was about to get launched. Our timing looked good. We had enough programs, impressions everything looked good. But one assumption failed – the high speed internet wave didn’t take off the way we expected. This was something we never expected as projections regarding internet speed & availability at low cost miserably failed to meet the expectations. Years down the down even now the 3G connectivity is poor across the country. The writing on the wall was clear. We had wind up the show in sometime. This was unfortunate, but I think this can happen to anyone even if everything looks good. Finding a niche & then making sure that there is enough demand is very important. If there is not enough demand, we MUST pivot and move ahead. 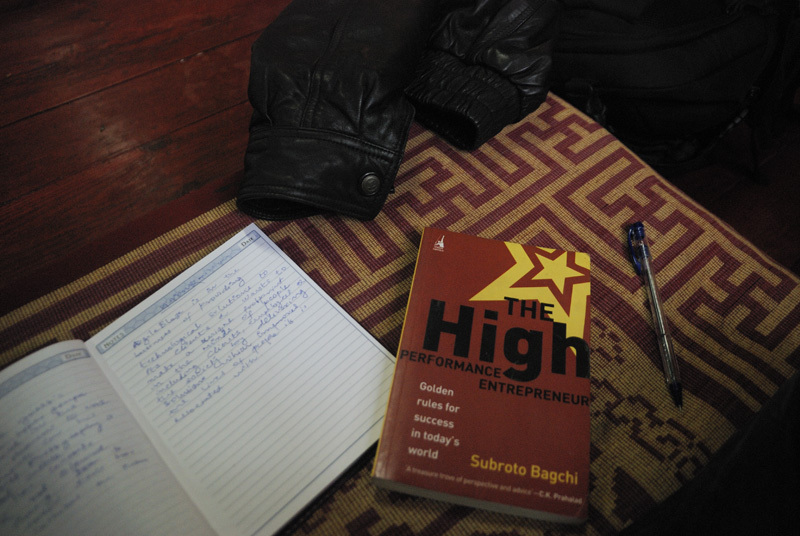 Find the niche, follow the Lean startup approach & launch fast. I think this needs an elaborate post & will talk about this in another post. Raising funds are easier now with the token based economy and its a good idea if you can make use of the current Eco-system to find seed money. This post could be an evolving one and may keep updated for sometime until I find it well refined. The post is the result of a chain of events happened over last 3 – 4 years where my focus was on people, people & people. I think I can say that I have transformed at a great pace, helped transforming many but for atleast last one month I was going in circles thinking about “why some people perform and others fail“. In other words some manage to transform and others get lost in a maze. Though somehow my idea was invest people, motivate, give room for mistakes / errors so that they learn from the same. But there was something wrong. One shocking pattern found is simple tasks which normally takes handful of hours is not completed in months by people who are considered to be very smart and creative. I had decided to give room errors across every team in my organisation as well. Instead of hiring from outside decided to “blaze” up folks from the team and create a scenario for growth. 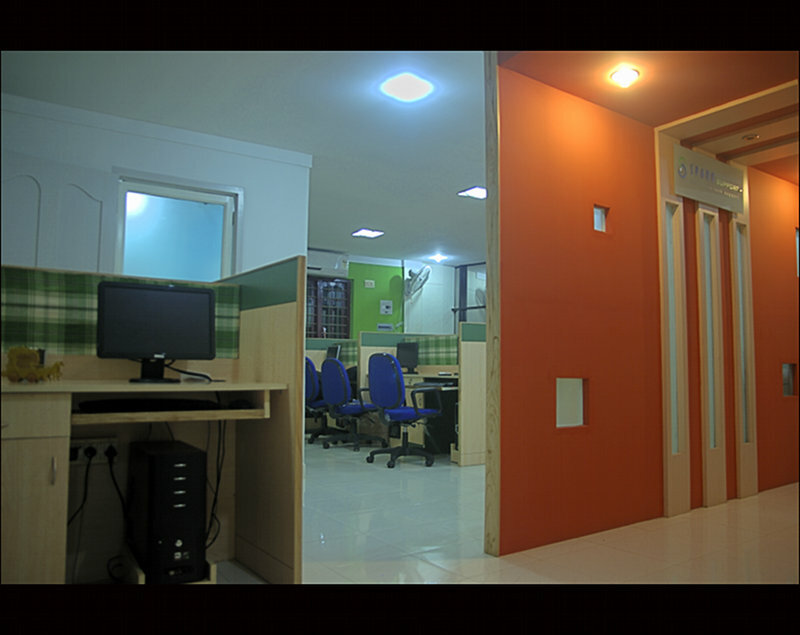 Personal, professional, organizational – carefully designed a schemes after working for months or rather years. Involved some external teams which I thought also could help and achieve organizational growth. The end result was, I found a pattern, inability to rise to the challenge. Now this was a big learning for me, no I am not putting it as a failure but I had actually found a pattern, a common trait over a period in four years. I believed in People, People and People – but failed to understand not everyone likes challenges. I purposefully acted as a facilitator of challenges which others took as problems ! That too the ones without solutions. Though everyone thinks, including me that they are capable of raise to the occasion face challenges, when faced with a given challenge we all tend to fail. In short the challenges ended up as hurting egos than an opportunity to learn ! I entrusted people with the duty of great things, after measuring them up & thinking that they will love it. I was also jealous that I was never given such opportunities while I was just obeying instructions – oh yea, it didn’t work too. Apparently, its difficult to understand and measure the opportunity at hand. I passed on ownership to people – my version was I was empowering them ! Now I realize that along with it I ended up spending too much time teaching people many things from scratch and spending more time with someone who was performing well. It seems those who were stuck, lost & became more frustrated, but I believed in the ultimate power of human mind which can fight any challenge. As for the external group, the PoC couldn’t even respond to emails & it was a completely lost game. Over estimated myself – my ability to multi-task, ability to motivate, ability to pass on the answer to “why” to everyone ! This also resulted me liking people for what they are not, what they are not doing because my theory was all that needs is motivation and hard work. Kept on investing on this wrong assumption. I ended up doing the same things again and again, ended teaching people the same things which was very unproductive. Instead of evolving or transforming, I was going in circles. I was simply frustrated. Take a pivot, a deviation from what is being followed now & address each one of the above. This was where I was spending time for quite sometime. I met a friend & mentor this week. We talked for some 7 hours, I even argued. Now I am at peace. Because I think I have it figured out. I am also proud, very proud that I have many transformed, some special cases whom I choose just by looking into their eyes and seeing the sparkle or the eagerness to finish a task though not matching any criteria – has came back to me about talking things I had no clue whatsover 🙂 But more than that it burned when seeing yet another group failing just to transform or just to do simplest of simple things that they were supposed to carry out. This is what I think what’s to be done right now. Just like facing the fireballs in the video below & I am not alone or shattered. This is the most important aspect. Need to focus on making everyone around it understand this. May be there is a need to re-connect with many but its essential. Every stakeholder should be clear about why we are here & everything that we do are just means to achieve it. Don’t train people from start ! Experience matters. period. We need experienced hands who are trained and who can answer why. This comes as a trait when someone is too passionate something. Professional aspects are overrun Personal aspects. There has to be a clear balance between personal, professional growth finally contributing to the organizational growth. Very. Not everyone likes challenges or don’t even understand what they are. Sad but one can achieve anything if they wish for it is not true for everyone. Being the in the geographical region with 80% people not employable (As per aspiring minds survey), we had pretty much become like a training institute. This has to be put an end to & one should look which college or university one person came from, whether one stayed in hostel which is mandatory for most of the professional courses like engineering. Now, I think this makes me at peace, helps me with a turmoil to certain level. And yes, very happy about learning something very useful. Note: incomplete musings, there will be more upcoming versions. This may help people who are lost in their careers to look into themselves and fix them up & organizations which are growing organically. 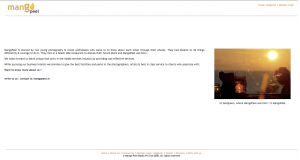 Subject of the post is probably the most discussed topic in the service industry – Scaling up. We knew this from start that we have to manage how we hire resources, watch the costs and scale. I managed to drive the team from our garage office to a good facility, brought in processes for managing the work force & we now have a an army of brilliant engineers dedicated finance & HR teams. Still we hardly ate, we were always working. Things were so bad that around that April (2010) I ran into serious sleeping trouble, I didn’t sleep for 8 days & the doctor told me – after giving a look as if he is talking to an alien – that you can come out of it yourself, it will be tough but that’s the better solution than he prescribing medicines – which I will not take anyways. I had to attend a wedding in north east and planned a 2 week vacation which I thought will help me to come out of the situation – it helped. I carried a book with me as I wanted to read it again. When I read it the first time, it didn’t much sense but this time after being in the shoes of an entrepreneur for nearly 2 years, it made sense. No, Its not a cliche story. I didn’t sit there and read much and there was no revelation (Other than the long discussion which few young monks started with me on religions, Bilekuppe etc). I came back home, started working again and forgot about the book. Weeks later, I started reading it again and I came across a section where the author was mentioning about hard work and the amount of time in hours per week the most successful businessmen dedicate . This was the first time I had thought about such thing like number of work hours in a week. I calculated the amount of time I spend – the previous week it was roughly 116 hours, this week its already 80+ hours and I was scared to think beyond these 2 weeks. There was something seriously wrong and this is when I thinking about scaling up my team and started analysing how I spend time. Being a startup means everyone has to multi-task and sometimes do the jobs which no one else will do. (Like how I used to clean the sole wash basin in our old office) So there was no point about stop doing multi-tasking. It was about make the best of the available resources. Soon I realized that the core problem was my worked spanned across marketing, execution, project planning, talking to clients from technical to finance matters to occasional chit chat. The first action item was to make the business development and market straight and we were searching for business development resources. By June end we had the business development team ready and they started putting together missing parts of the puzzle. I started giving developers and lead developers more freedom to innovate, involved them client communications more than ever and started paring up senior engineers and the business development team. I have been applying, my method of learning from practice with little guidance. I strongly believed, inherently people are good enough to learn and not to commit errors which will cause catastrophe. In the mean time SCRUM meetings were introduced for every team from business development to HR. Initially it required some serious efforts to keep things going but now after nearly 6 months with SCRUM, we are looking good. Now, after nearly 6 months of sole focus on developing the organization from within, we have started feeling the differences. Finally, after some serious struggle and hard work we have different functional parts of the organization running nearly smoothly. Few things we plan for future is to give more and more focus on communication, improve technical skills my continuous knowledge sharing sessions etc. There should be a balance between how much business you do and how well you are able to collaborate with your own team. Its very difficult to find the balance but its essential for scaling up. The more we collaborate its better for scaling up as everyone learns in the process and becomes ready for the challenges. One should never forget to look back to our own team in the struggle to grow and scale up. The employees first policy may not be 100% correct, but keeping balance between how we spend time between employees and clients is important. I think, we were probably few months late in starting the initiatives, but we have done it atlast and now waiting for the positive results which we are confident of. Yes, Collaborating the agile way is method to succeed and scaling up. After 1 year and 3 months of quitting a cosy-big-MNC-much-loved-dream-job (removed a link from here as it creates confusion.) and just turning 28 I found myself asking the question what is this Entrepreneurship is all about ? Is it the money ? No ! I am broke and I can’t buy stuff like a crazy over priced bicycle (my friend has one) or an iPod which I had bought in the past and still using as an hard disk. I still remember paying advance for Onakkazhcha exhibition with the last pennies in my account and coming back with some 110 rupees (2.5 USD) in my wallet. Is it the comfort and no need to much work ? Comfort ? I haven’t gone to Bangalore PVR or gone to one of those over priced restaurants on birthday treats or even there was not much time to sleep. I used to shiver under the A/C and last year I was sweating ! Is it all the fun, glamour ? heck ! no. I had to switch to T-shirts and Jeans because I no longer able to iron the clothes for that matter. Fun, well, I find miss calls in mobile from various people of which few are the most cute girls one encounters in life but I’ve no way but see those calls hours late and do nothing about it. Is it the freedom and do whatever you want to do ? no way ! you can’t even fall sick because that is when all the world turns against you. You can’t go on a trip because that is when your client wants an immediate whatever call with you. oh, since you have so many people working under you can work less, that it ? well, absolutely wrong. Earlier one had a boss and only person was waiting to hear for answer, a reply or whatever. Now you end up with a lot of people waiting for replies you end up following up, working, researching thinking the whole day. No its not money, power, glamour, less work, freedom that defines entrepreneurship. When you become an entrepreneur, you get the freedom to choose what you have to work on, you come to office and see the people sitting in there and you realize you are able to reach not just a family but the lifes of all their families, You feel happy when a client who lives on the other side of the planet which is believed to be spherical in shape asks you to take a break, pack your bags, go to the mountains or he trusts you and offers to help in a charity photography exhibition you are involved in, or someone says he had a “blink” moment when he met us and he trusts us with the most important project of his life or you feel proud when a movie director gives you the freedom to decide on how to make the teaser for his most challenging work, or you feel really cared and loved when one of your best friends comes to your office and says you have got a nice setup and I entrust you with my upcoming project. What is all above means ? Entrepreneurship is all about blood and sweat one puts to whatever one likes and in turn he becomes trust worthy, ethical, transparent and capable of delivering the most challenging tasks to the people who trusts him. He influences and changes the lifes of the people around him or her. He may have to make personal sacrifices which has long term postive impact on not just him but on the people who trusts him – the ones the world calls clients or employees. I think now I am able to do only those things I like to do. I remember myself telling my superior when I joined for cosy-big-MNC-much-love-dream-job that I hate GUIs and I am most comfortable with a text terminal, code but then there were times when I looked at GUIs with an already upset mind, I tried to keep the monitor upside down, looked at it, no the GUI still looked like a ugly-alien or something. Now I am no longer tormented by such things, but we get the freedom to choose what we need to work with, its no longer a legacy technology, same old repeating stuff, one get the freedom to implement what you use to read only in slashdot and feel satisfied. Life remains the same, you have same old things which upsets you, same old stuff around you but then there is something new everyday. If the defintion of an Entrepreneur is one who has stopped making compromises in his life and by so becomes a confident, proactive, trustworthy individual able to change the lifes of the people around him, then yes I am one. And yea, He has the best friends one can think of. Shijil, Sai, Prince are just three of them in the list in which other names will be a bloody cool Mohan, Smevin, Jithesh, one person whom I call messenger, Alexy, Aswathy, Cibin, Lijo, Adarsh, Vikas, Shyam, Muraliyettan, Krish, Oam, Sunil, Deepa and yes the list goes on … Well yea, Entrepreneurs are not supposed to become emotional etc so I am not writing more names and how they have helped me !